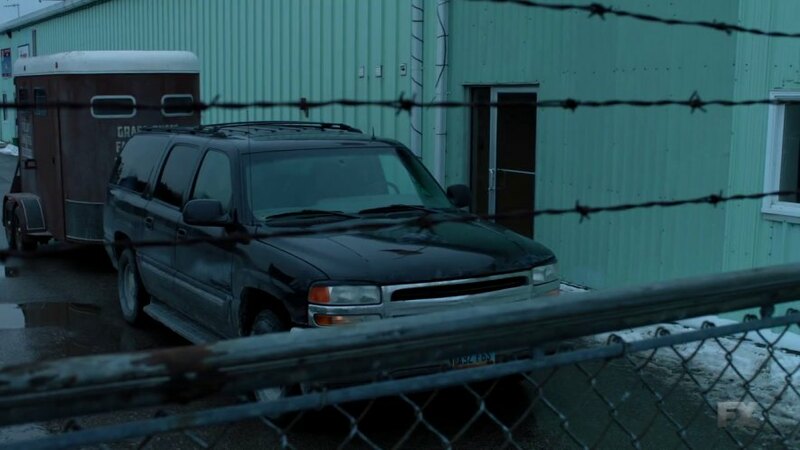 IMCDb.org: 2002 GMC Yukon XL [GMT830] in "The Strain, 2014-2019"
This is a GMC Yukon XL, you can tell by the headlights. Looks like they used the piece of metal to hide the GMC logo to avoid copyright. 2002-2005, by the roof mounted Onstar antenna.